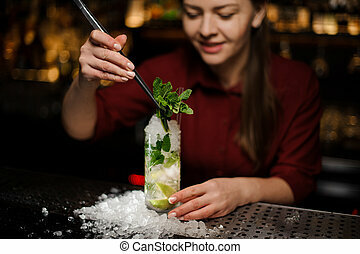 Barmaid adds to mojito crushed ice. 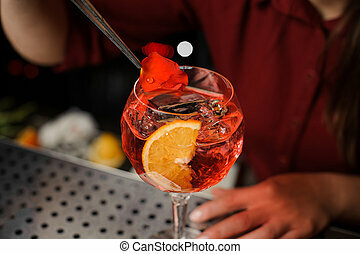 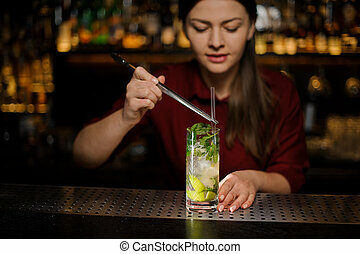 Pretty barmaid in a red dress adds to mojito in a crystal glass crushed ice using bar equipment. 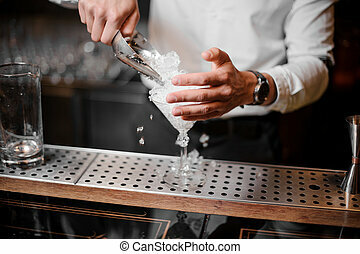 Close-up picture of a barman pouring crushed white ice in a glass on the black background. 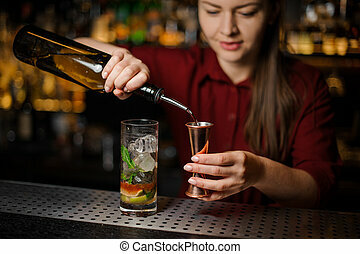 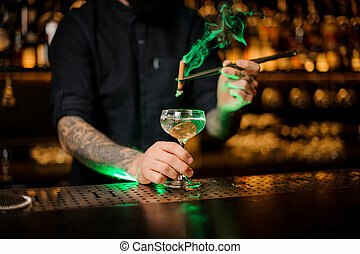 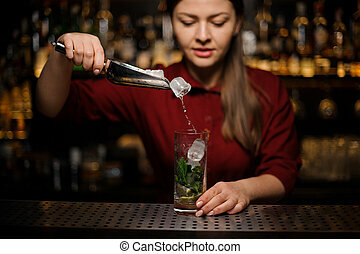 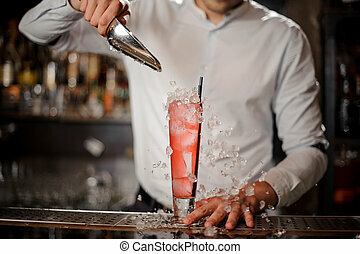 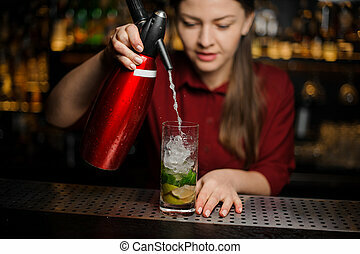 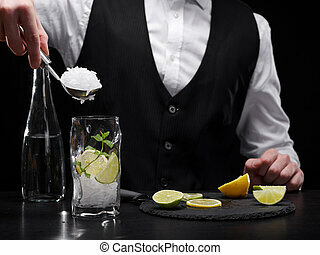 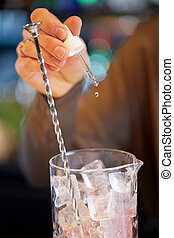 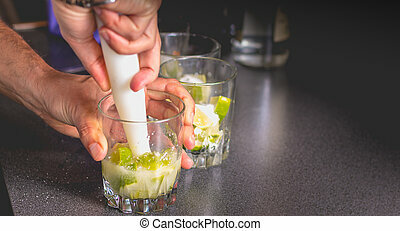 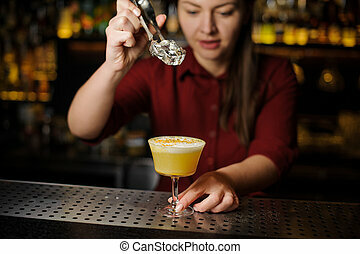 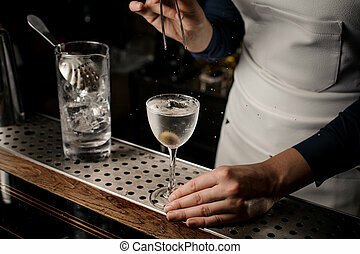 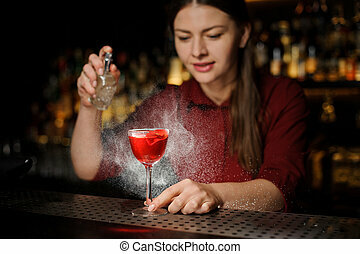 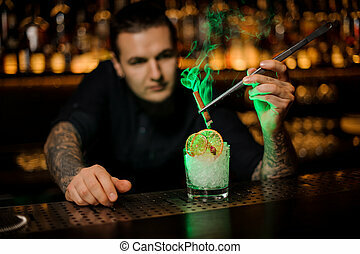 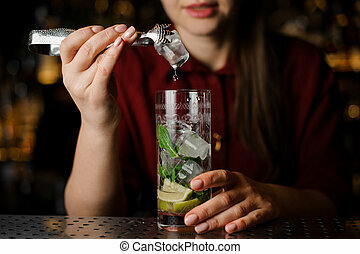 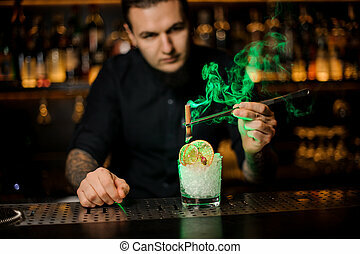 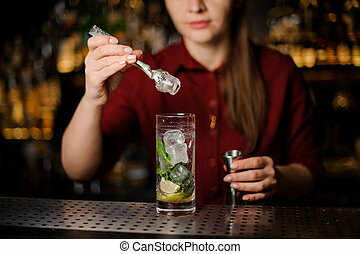 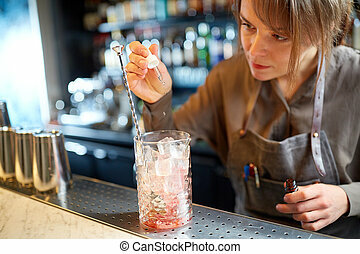 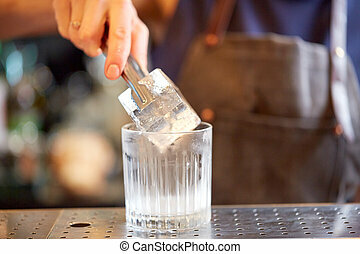 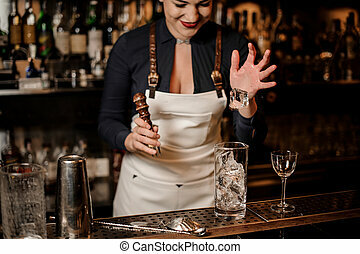 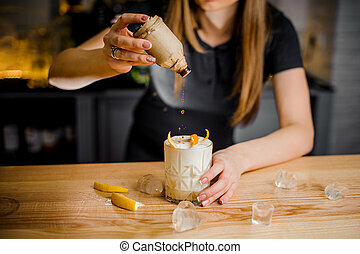 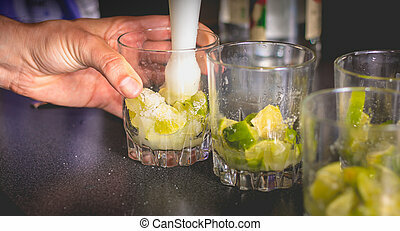 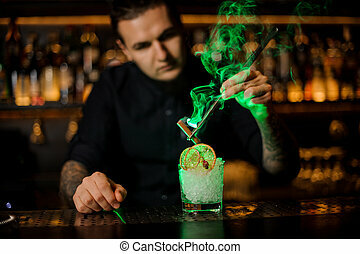 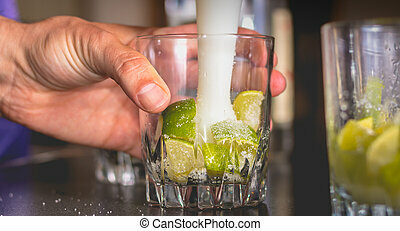 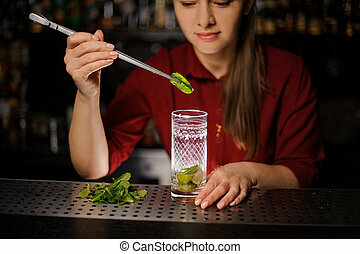 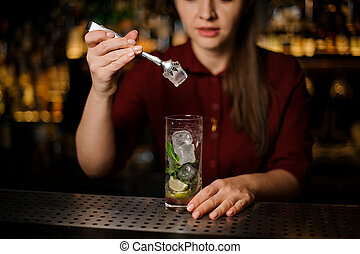 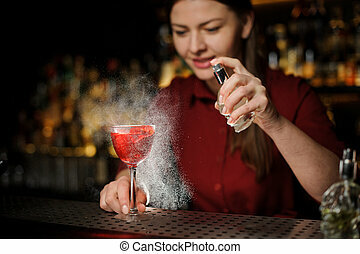 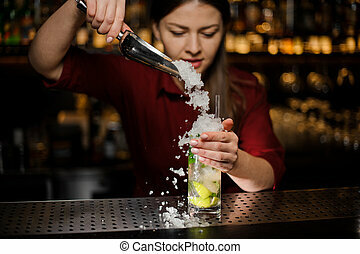 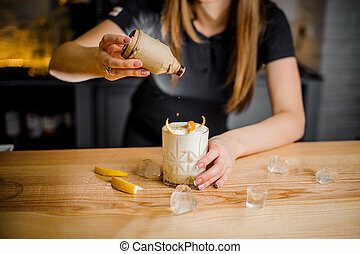 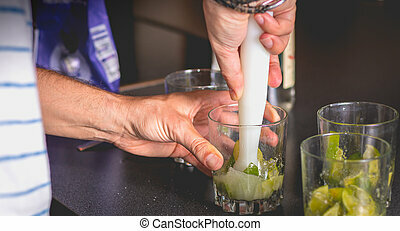 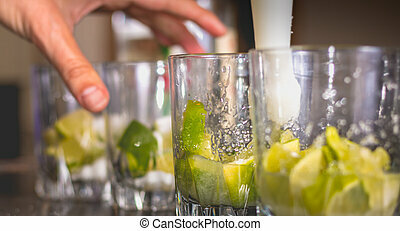 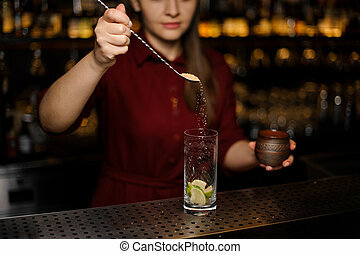 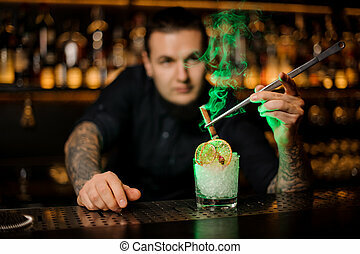 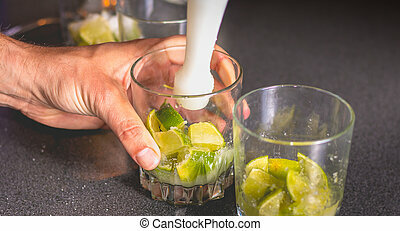 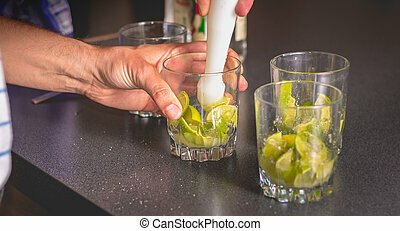 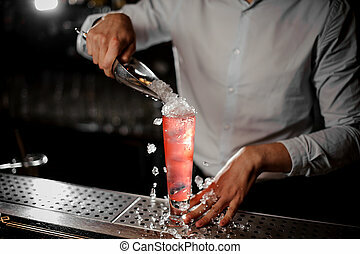 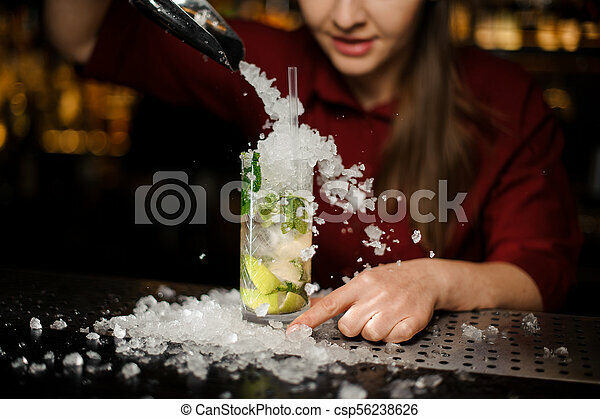 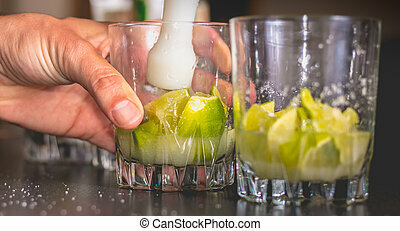 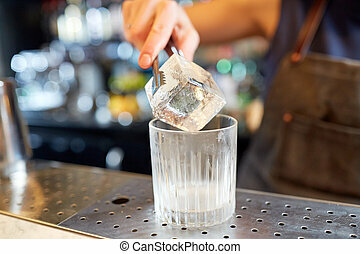 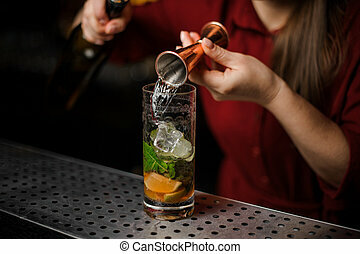 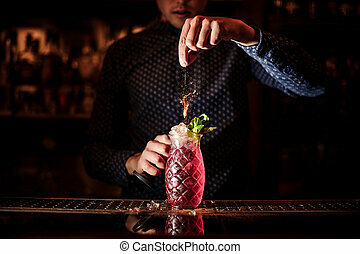 A club bartender adding ice to a refreshing, cold shake with alcohol, limes and aromatic mint. 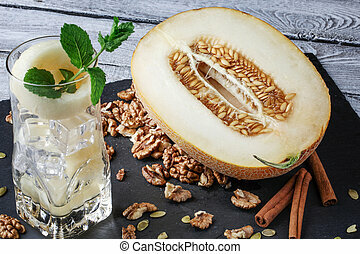 A close-up picture of a transparent glass full of alcohol cocktail with a piece of carved melon on a gray wooden background. 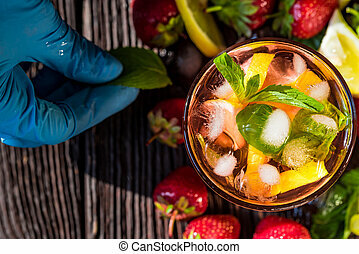 A juicy cut melon next to a cold alcoholic mojito with melon and mint.